One of the highest reviewed tennis racquets on Tennis Warehouse and Tennis Express is the Yonex DR 98 with some play-testers calling it “one of the best tennis racquets they’ve ever reviewed”. I really enjoyed the Yonex Ai 98 (still have four of those although I mainly play with the Tecnifibre 315 ATP Ltd 16×19) and I really think the Yonex DR 98 is a solid successor to the Ai 98. It feels a bit firmer, but not uncomfortable and doesn’t require lead at 3 and 9 o’ clock to feel stable. 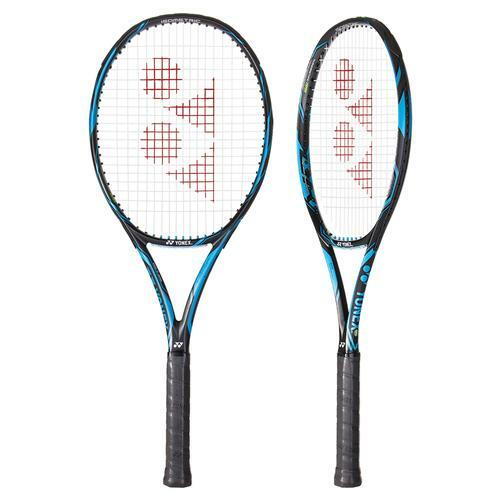 I think the Yonex DR 98 plays very similar to the Wilson Blade 98, a favourite racquet of mine despite my usual preference of 95 inch head size players’ racquets. What I really enjoy about these 98 inch “tweeners” is how much racquet head speed you can get on the ball. They have a pretty much perfect blend between stability, manoeuvrability, power and control. You want be able to crack the same kind monster serve as you can perhaps with a Babolat Pure Drive or Babolat Pure Aero, but it has everything you need to play all-round all-court tennis. Babolat Pure Strike (Babolat Project One 7) – a big improvement over the boardy predecessor. Wilson Blade 98 (both the 2015 and the Countervail versions are great). If someone would ask me, without me knowing what level of tennis players they are, what tennis racquet to buy, I would give these three options and I’ll be pretty confident they won’t come back and hit me with it. So if you ask me if the Yonex DR 98 is for you, I would say that it is very likely. Remember that Yonex racquet handle sizes run slightly bigger so if you’re used to a 3-size grip, it might be worth considering a 2 with an extra overgrip. PS. What is NANOMETRIC DR material? According to Yonex it “improves the bonding strength between carbon fibers at the center and bottom of the frame and reduces the weight shift to the top of the frame. This Trans-Weight System results in a racquet head that reacts faster for quicker maneuverability and produces the fastest swing speed in YONEX history.” Marketing BS? Who knows, the racquet plays great. DS. I used to play with the Yonex RDS 001midplus (98) I sold it long time Ago, I came back play and bought this ezone dr98 the yellow one , And I’m struggling with this one, wich racquet would be more similar to the RDS 001 midplus 98 ?? The Yonex RDS 001 MP is definitely a more powerful/crisper racquet in my mind than the DR 98. It might also feel a bit easier to swing since the beam is thinner. There are not that many racquets with similar beam profile and stiffness on the market today. If you like Yonex racquets, I’d definitely try the Yonex VCORE SV 98 and put some lead tape on the handle and possibly at 3 and 9 to get the weight a little bit closer to the RDS 001 MP. Could you tell me some of the best strings (quality/price ratio) to play with this racquet? I´m a 4.0-4.5 player and I´ve been playing with Babolat around 6-7 months (before played with Aero Pro Drive for 2 years) and I have a elbow pain now. Weiss Cannon Silverstring – cheap, quite soft and a good string. 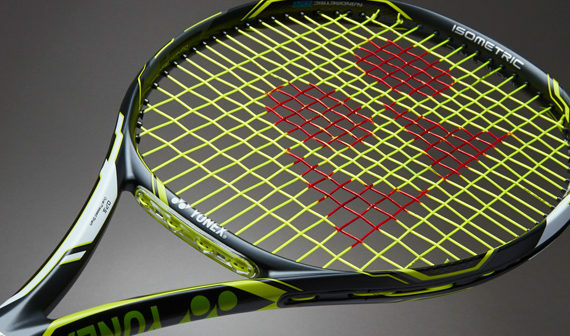 Yonex Poly Tour Pro – My favourite string in the mentioned racquet. Choose a thinner gauge for a softer feel. I go with 1.25. Luxilon Element Rough – Super soft poly, expensive, but nice. Volkl Cyclone Tour – Relatively inexpensive and nice soft poly. Solinco Tour Bite Soft – really nice, softer poly. Hi! I currently play with the wilson pro staff Classic 6.1(16×18) but I’m thinking about changing to a more modern frame. Would be this racquet a good option? Yes, this is a good modern frame. It will be an adjustment from you coming from the heavy Pro Staff Classic, but you can always add some lead tape to make it play heavier. Hope you find a racquet that suits your game! I am currently playing with the head ig prestige mp, with lead at 3 and 9h, totaling 346g and balance at 32.5cm. I am thinking of buying a yonex dr98 blue, add lead in 3 and 9h and silicone in the cable to leave a weight of approximately 337g and balance in 32.5cm. Nice specs! With that balance, the swing weight will be beefy and nice. I would definitely be happy swinging a racquet like that. Let me know how it goes and good luck on your new Angell!